Editor Update: 4/2/19: We are in the process of updating and compressing our manuals into PDF to make the file size smaller. If you need something listed and you want the file size reduced, please leave us a comment. We know it happens; we lose our vehicle manuals. Also, while many people never read their Kia vehicle owner manuals, we encourage all of our customers to please read your owner manual. To help our customers and readers out, we are cataloging every Kia manual we can find. This page will be updated as new models arrive. If there is a manual you are looking for that is not on this list, leave a comment, we get notified, and we will add the Kia manual requested. 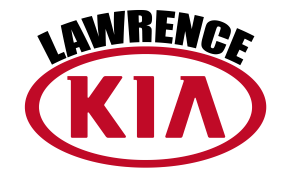 If you are a Kia owner, go to Owners.Kia.Com and register for an account with your VIN. You will have access to your Glove Box and other important information about your vehicle. Do you have a question or idea you would like to be featured in a blog post? Fill out this simple form. Are you a car enthusiast or novice and want to feature your car story on our blog? Fill out this form to be featured on our blog. Kia 2020 Telluride SX Prestige Owner’s Manual? Hi Richard, unfortunately, the 2020 Telluride owners manual is not out yet. As soon as it becomes available we will have it added to the post. We are sorry for the inconvenience. Hi the Niro EV or E-Niro regards. Hello, we have added the 2019 Niro EV to the list of owners manuals for you! Hi Laura, we have added the 2014 Kia Forte Manual for you! If you need anything else please feel free to contact us through our site or by phone (785) 856-8700. I am interested in a 2020 Kia Soul GT Line Turbo. I have not been able to find the owner’s manual online. Hi Mike, we have added the 2020 Kia Soul owner’s manual to the post. If you have any more questions please feel free to give us a call at (785)856-8700!